A regular task at McGregor was to create a new take on existing packaging for the licensed brands that would create a fresh look without straying from the brand’s strict guidelines. 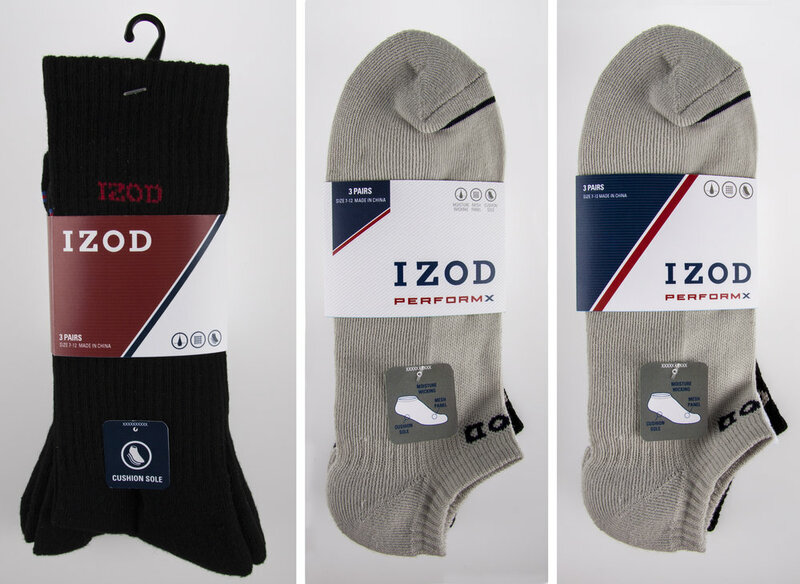 These are some design explorations for Izod triggered by their company-wide brand refresh. The brand as a whole was pushing the stripe as a stronger design element, and the brand manager at McGregor had the good idea of stepping away from the classic navy to incorporate more white for a lighter feel in the women’s line.